Kitchen garden is the best way to use and harvest fresh herbs, Tulsi, Mentha, Coriander and Curry leaves are the most popular kitchen herbs in India also used for culinary purpose and as home remedies. 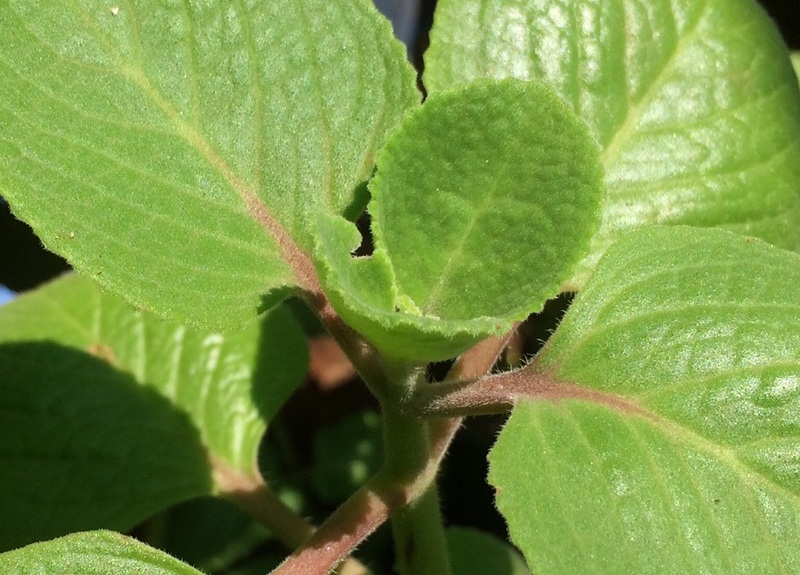 Holy basil or tulsi is native to the Indian subcontinent, cultivated for religious and traditional medicine purposes. 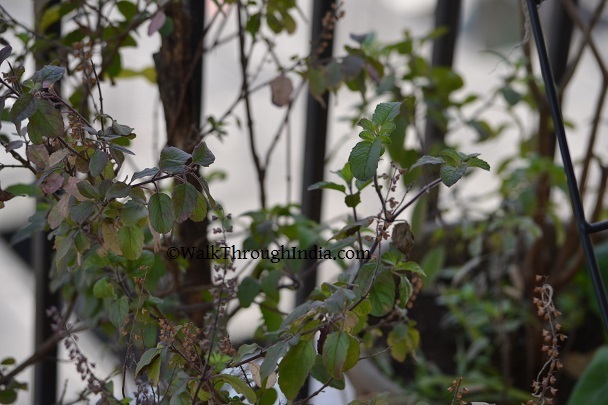 Tulsi is the most popular herb that commonly used in Ayurveda. Mentha leaves or mint are used as a medicinal herb to treat stomach ache. 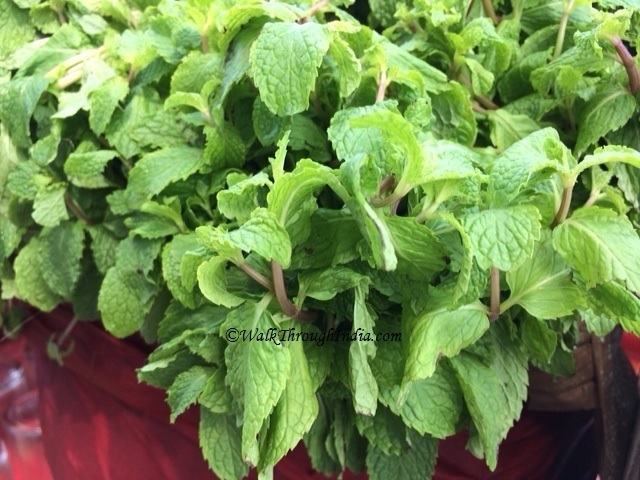 Mint leaves along with basil, rosemary, sage, oregano, and catnip are most popular common cooking herbs in India. 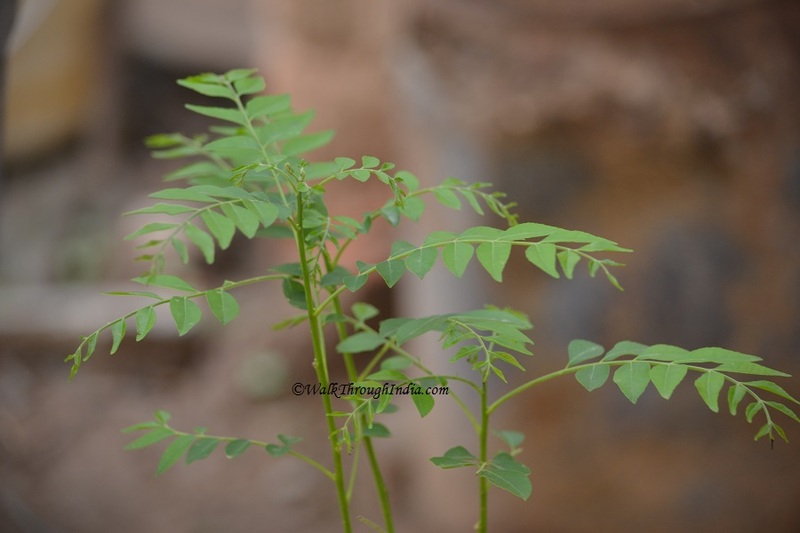 Curry leaves from curry tree or sweet neem leaves are native to India and used in many dishes mostly in curries. The leaves are known to have anti-diabetic properties and help in losing weight. Fenugreek plant cultivated for seeds and leaves which are common ingredients in dishes of India. The seeds are soak with water thought to promote digestion, reduce blood sugar levels and help in diabetics. Fennels are highly aromatic and flavorful herb also used as a vegetable in many parts of the world. Seeds of the fennel plants are one of the most important spices in Kashmiri Pandit culinary cultures in India. Coriander plant produce fresh leaves and seeds, most traditionally used in cooking in India. 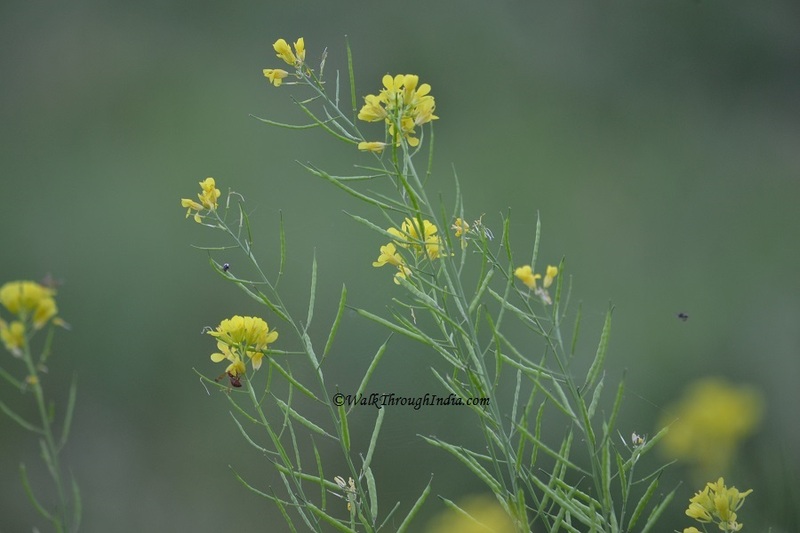 The fresh leaves are wonderful source of fiber, magnesium and manganese and rich in vitamin A, vitamin C.
Mustard plants are good source of many vitamins and minerals, The antioxidants and anti-inflammatory agents are helps lower cholesterol and detoxifying the body. Ajwain or carom plant originated in India and consumed by humans in culinary cultures. The leaves and dried seeds are used in traditional Ayurveda for indigestion and loss of appetite. Garlic used as a traditional medicine in Ayurveda to lower cholesterol levels and to regulate blood pressure. The magical herb contains medicinal properties and reduces hypertension. Ginger used as a spice and best home remedy to treat common cold and cough. The hot fragrant kitchen spice is a key ingredient in India especially meat-based dishes and traditional Indian drinks. Turmeric is native to the Indian subcontinent and the dried roots are used in cooking as well as used in Ayurvedic medicine. Turmeric powder used in Indian traditional medicine and contains list of powerful properties and incredible health benefits. 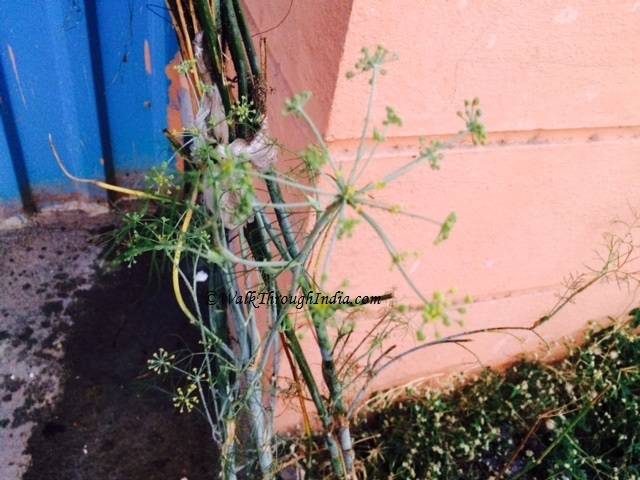 Dill delicate herbs are used as spice for flavouring foods in India and widely grown in Eurasia. In India, dill is known as shepu or savaa and traditional dishes made with potatoes and fresh fenugreek leaves are very good antigas properties. Indian Changeri (Oxalis corniculata) taste of lemons and the entire plant is rich in vitamin C. Medicinal Uses of Oxalis includes treatment of influenza, fever and various other common injuries. Giloy (Tinospora cordifolia) is also known as Ayurvedic root of immortality or Amrita in Sanskrit. The roots are used in Ayurvedic medicine and one of the most divine herbs in India. 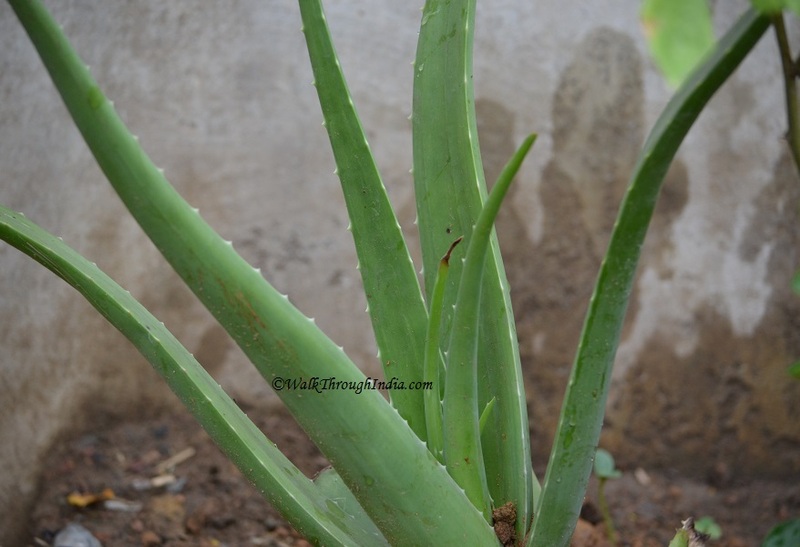 Aloe Vera gel used in cosmetics and one of the best home remedies for burns and sunburns. The species also has list of agricultural and medicinal uses, widely grown as an ornamental plant. Other popular medicinal flowers and herbs also includes Echinacea, Calendula, Astragalus, Sage, Tarragon, Chives, Rosemary and Parsley.